Treat your loved one to a unique dining experience with our five-course, chef crafted Valentine’s Day tasting menu. Customize your visit by choosing from our most loved classics and exciting new dishes, plus complete your meal with our hand-picked wine or whiskey pairings. 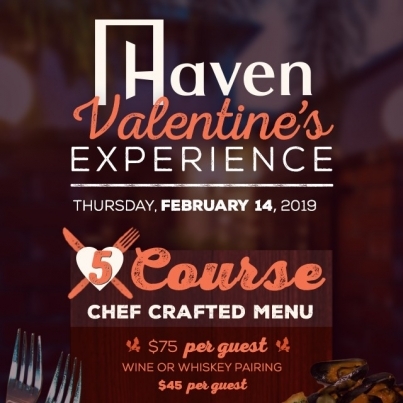 The 5-Course Chef’s Tasting Menu will be the only menu available on Valentine’s Day, February 14, 2019. Our normal Happy Hour specials will not be offered on this date.